We Wish You A Merry Christmas is the perfect stocking stuffer! Santa Claus, reindeers and elves are all coming to town this Holiday season, but they're not coming down the chimney! 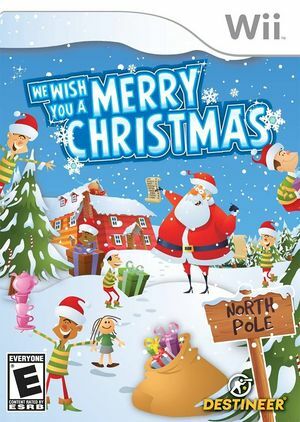 They're coming to Wii in the first ever mini-game and activities collection designed to get you in the Christmas spirit. With holiday themed mini-games unlike anything you've ever seen! The graph below charts the compatibility with We Wish You A Merry Christmas since Dolphin's 2.0 release, listing revisions only where a compatibility change occurred. This page was last edited on 13 January 2018, at 15:38.